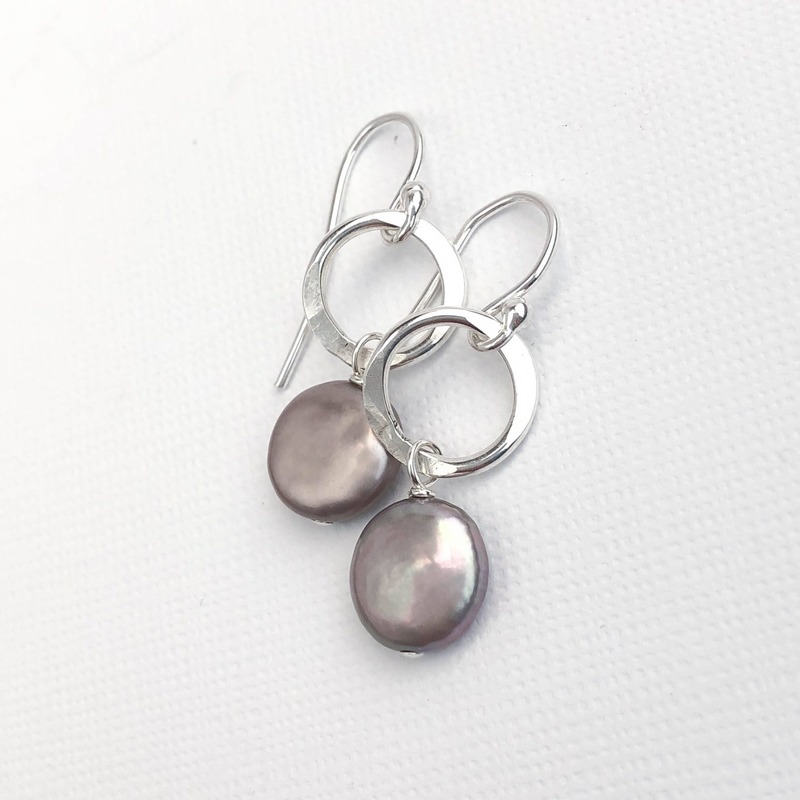 Handmade with freshwater coin pearls and solid, nickel free sterling silver. 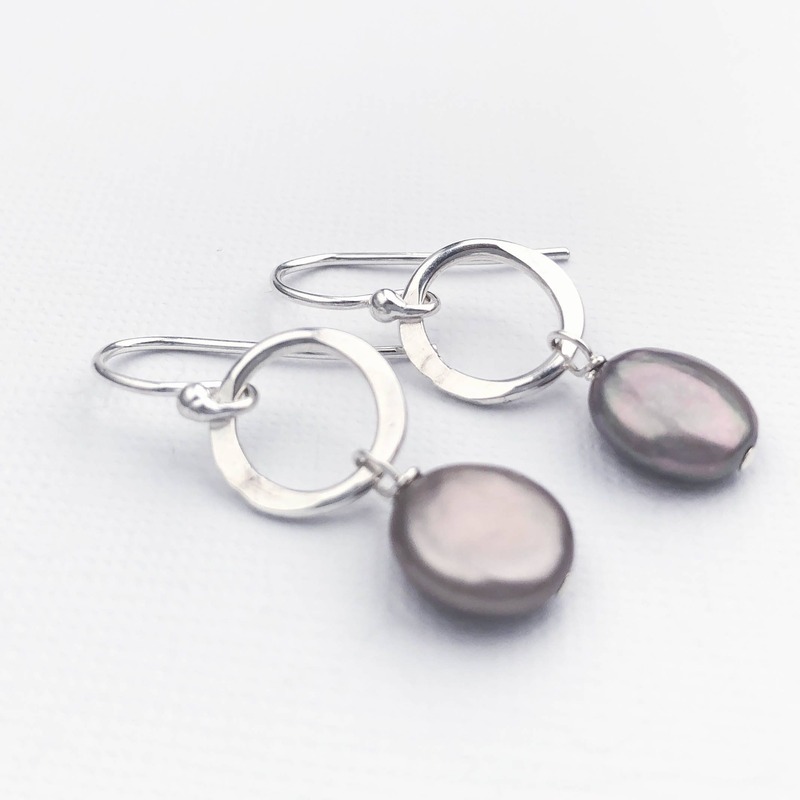 These drop earrings were designed to be lightweight and comfortable to wear. 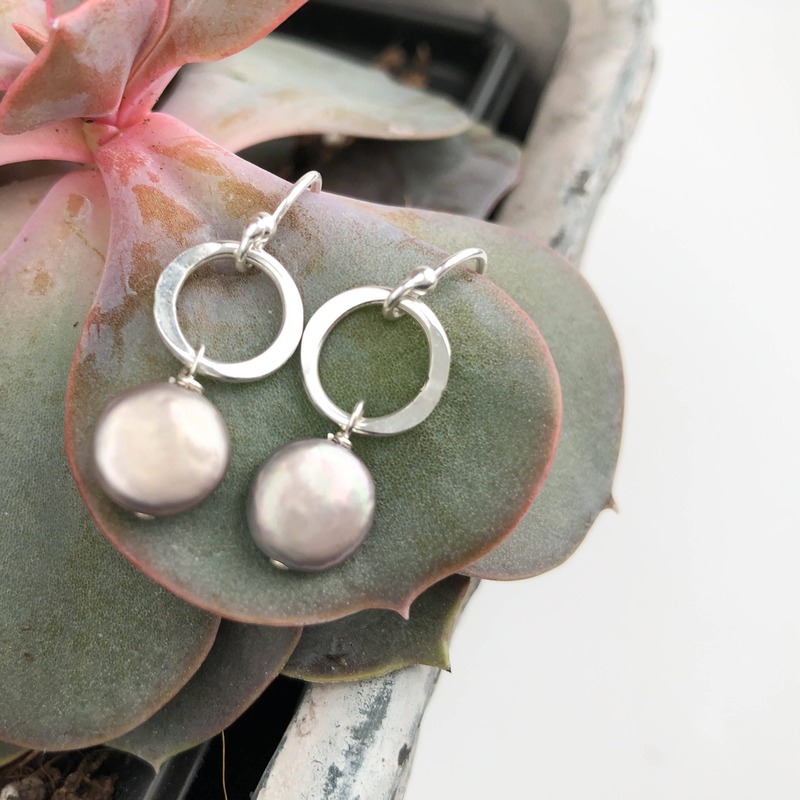 The sterling silver circle is hand hammered and polished to a high shine to catch the light perfectly. 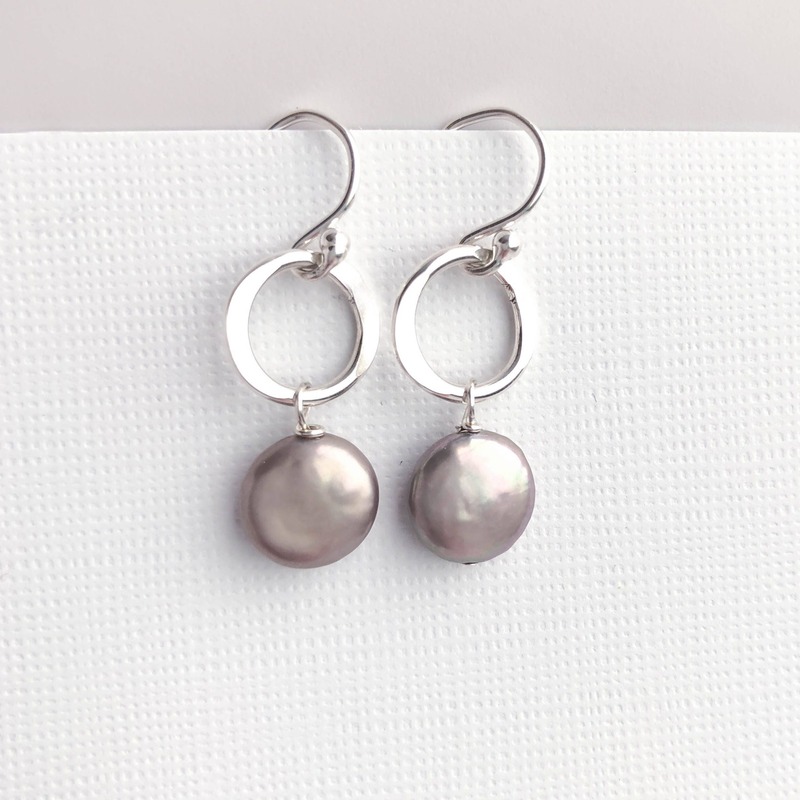 The pearls are a neutral gray tone with beautiful undertones that would match just about anything! 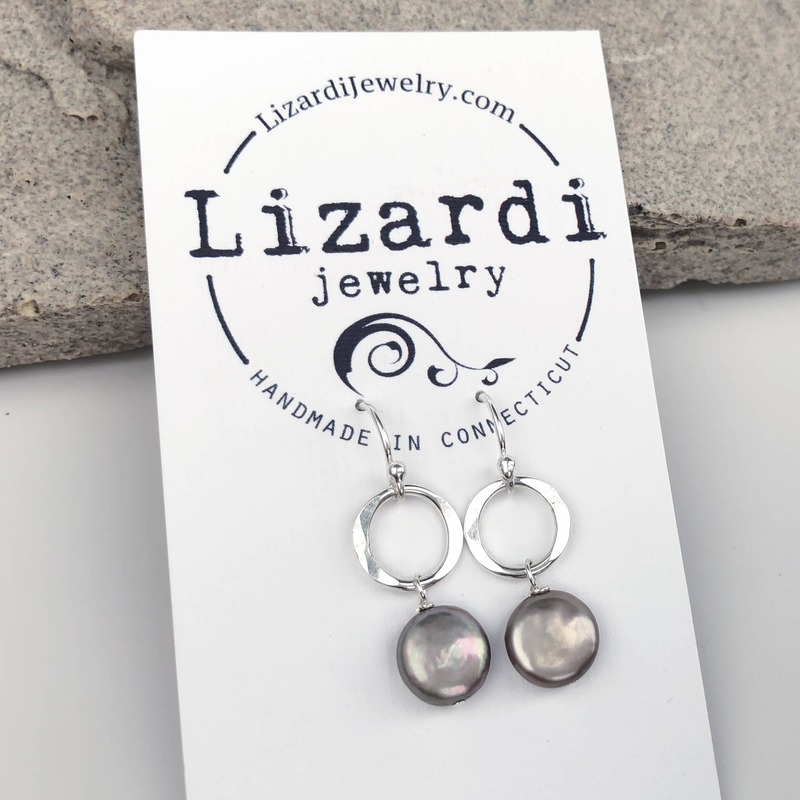 Beautiful and dainty earrings. I love them. 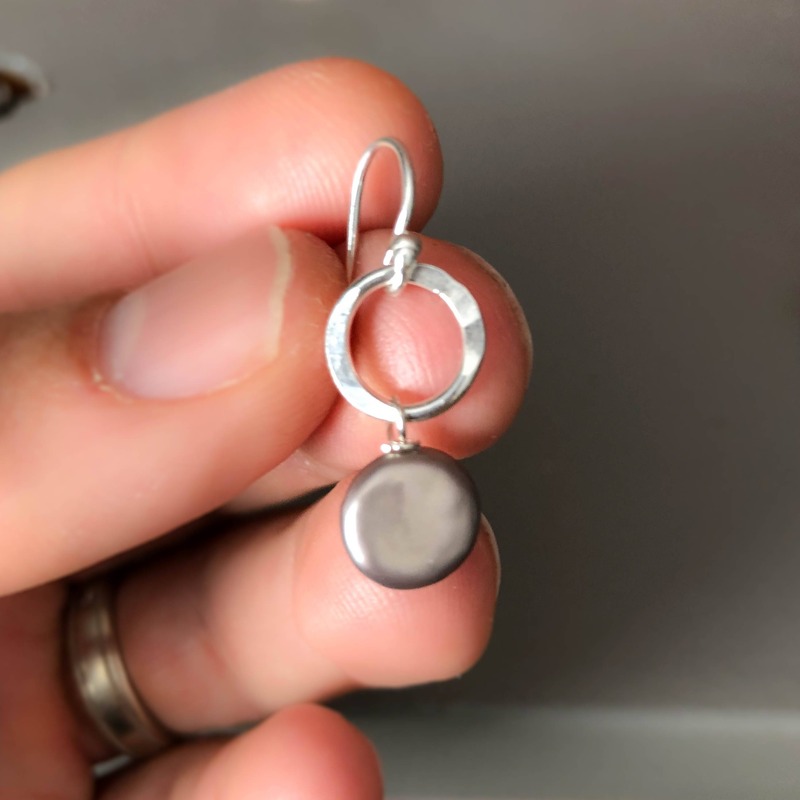 I think well made too. Ty!